Enjoy the natural beauty of the Swiss Lakes and Mountains, relax on lake cruises, travel the world’s steepest cog railway and marvel at amazing scenery as this tour takes you through the very best of the Alps. 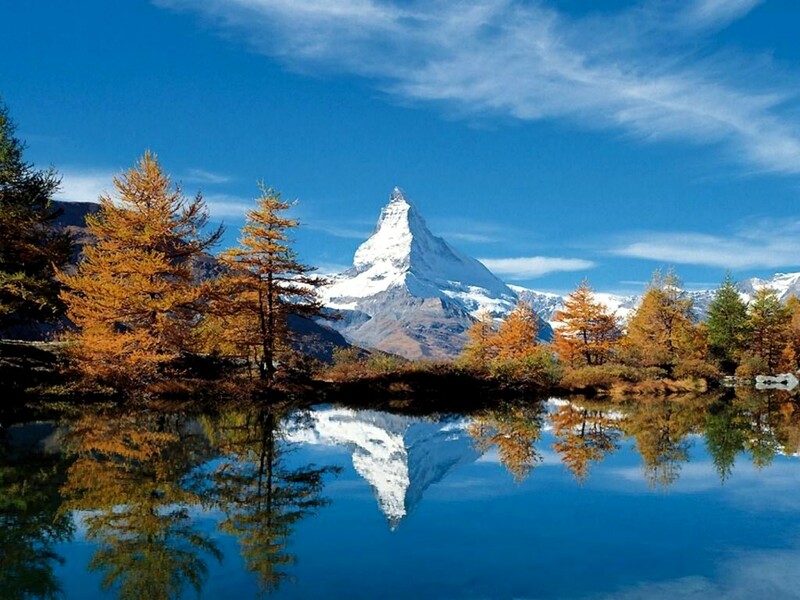 Switzerland offers a wide variety of scenery which delights the tourist all year round. You don’t have to travel far to see beautiful forests, lakes, waterfalls, glaciers, valleys and snow-capped mountains. Three fifths of the country are covered by the Alps and this tour focuses on the best of the lake and mountain scenery in the country. The first stop in Switzerland is Lake Lucerne in the central area of the country. Here the lake forms a complicated shape with bends and arms reaching from the centre of Lucerne into the mountains. From here we travel to Lugano, a glacial lake on Switzerland’s south-east border with Italy. Moving on to the upper Rhone Valley we spend time in Raron and from our campsite we have numerous possibilities for sightseeing, including an option to visit “Aletsch Glacier”, the largest in the Alps. From Raron we continue along the River Rhone to Martigny, nestled in an elbow on the river among vineyards and orchards. The cultural capital of the Valais canton, Martigny is home to the Museum of St Bernard Hospice and the legendary dogs that spent the winters there. During our stay we will travel on the “Mont Blanc Express” train on an amazing journey through the “Trient Gorge” to Chamonix where the adventurous among us can ascend Mont Blanc. The tour starts in the charming Swiss town of Lucerne and our campsite is located close to the center and borders the famous Lake of the same name. Just a two-minute walk from our site can be found the sandy “Lido Beach” offering superb views of the Lake and Mount Pilatus. 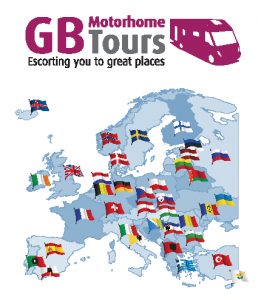 Later today day we meet at the Tour Director’s van for welcome drinks and a tour briefing. This morning we will board our boat at the ferry terminal located adjacent to our campsite, for a full day’s excursion to Mount Pilatus. We start with a ninety-minute cruise on Lake Lucern to Alpnachstad from where we board the worlds “Steepest Cog Railway” to be transported to the top of Mount Pilatus. Reaching the summit, we have a group lunch with “Panoramic Views” and free time to admire the amazing scenery before descending by cable car. Once back in Lucerne you can take a wander in town or return directly to the campsite by foot or local bus. A free day. The town centre can be reached by a walk along the lakeside footpath, or is just a short bus or boat ride away and there are numerous opportunities for you to spend your time today. You could also choose to visit the amazing “Museum of Transport” located adjacent to the campsite or catch a boat from the jetty for another cruise on the lake, this time stopping off at one or more of the many lakeside villages. 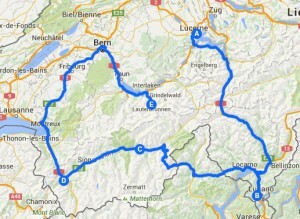 This morning, will be collected by coach from our campsite to travel into Lugano for a cruise on the lake. We disembark our boat on the opposite shoreline where we will have lunch in a lakeside restaurant. After lunch we visit the “Customs Museum” before rejoining our boat for a cruise to the village of Gandria. Here we have free time for exploration and refreshments before returning to Lugano and later, our campsite. Free day. There are numerous opportunities for sightseeing direct from our campsite and the local railway station is just a short stroll away. A day of leisure in Raron where there are many opportunities for independent excursions. This evening we will get together to enjoy a tasty “Raclette” meal accompanied by local “Valais” wines. An optional excursion with the Tour Directors (at your own cost) to the Aletsch Glacier, the largest glacier in the Alps and a UNESCO protected site. Covering an area of about 46 square miles, at its thickest it is estimated to be around 3,300 feet deep. Surrounded by high Alpine flora and fauna the glacier is renowned for its natural beauty. This trip is at its best in good weather with clear visibility so will be offered either today or tomorrow, dependent on the local weather conditions. A fifteen-minute walk takes us to Martigny railway station and the Mont Blanc Express for a ninety-minute ride in the direction of Chamonix, up into the breathtaking heights of the Trient Gorge. You will see waterfalls, majestic peaks and the wonderful glacier of Mont Blanc. Once in Chamonix you may choose to ascend Mont Blanc by cable car (not included in the tour) or perhaps just enjoy your free time shopping and sightseeing before we return by train to Martigny in the late afternoon. A free day. In the evening there will be a Group Buffet arranged by the Tour Directors. A free day. The village is within walking distance and contains an interesting museum and art gallery. Railway and cable car tickets are available from the campsite office for self-exploration into the mountains. This evening we will have dinner in the campsite restaurant. A spectacular train journey through the Bernese Alps today to the highest railway station in Europe, the Jungfraujoch at an elevation of 3,454 m. On the way up the train will stop at the Eiger north face, the Eiger glacier and the Sea of Ice where observation windows offer spectacular views of a High-Alpine wonderland. Once at the summit we have ample free time for sightseeing and to make your own lunch arrangements before we return to Lauterbrunnen. It would be wise to ensure that you have warm clothing and comfortable shoes for today and don’t forget your camera! Free day. From our campsite you can reach the summit of the Schilthorn at 2970 meters above sea level and marvel at the spectacular panorama. As part of the Schilthorn experience, you can visit to the interactive “James Bond” exhibition and the “Piz Gloria” rotating restaurant. Free day and an opportunity to explore the Valley of the 72 Waterfalls or to a make a visit to the stunning Trummelbach Falls, featuring 10 glacier waterfalls inside a mountain. In the evening we will have our Farewell Dinner which will give us an opportunity to reflect back on our time in Switzerland.